Instagram is one of the most popular services for mobile terminal users, allowing them to capture images and apply different digital effects, later shared with your contacts. In fact, many existing applications that connect to their API to provide additional and complementary services, as is the case Instafeed designed to provide lists of pictures of various themes. Put another way, Instafeed is a particular client Instagram offering a series of pictures grouped in various themes. Its operation is as follows: each of the available themes, and other users can create at any time, take rigged their lists of selected users to subscribe to, but yes, just within the application itself, so that subscriptions for these users will not be part of Instagram’s own account. Only then will your pictures within subjects, there is no possibility of knowing in advance the photos you made. Users can create new custom themes using the “Create Custom Feed” which will available when you press the + icon in the top right, and then inside indicate a series of keywords, which enable the emergence of a list of users to which to subscribe. As I discussed, there is no possibility of knowing in advance the photos you do these users listed in that list within the application itself. Also, if users are not satisfied with an item, you can delete completely, or if instead, give them more importance, can move to a higher position. 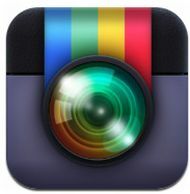 Also allows synchronization Instafeed feeds through integration with iCloud. Instafeed began as a proof of concept since its launch last year, and thought to receive the necessary feedback, and now just be held on final release. What are the Assassin’s Creed more valued in these 10 years?